Aurangabad is an important city in the state of Maharashtra, India. 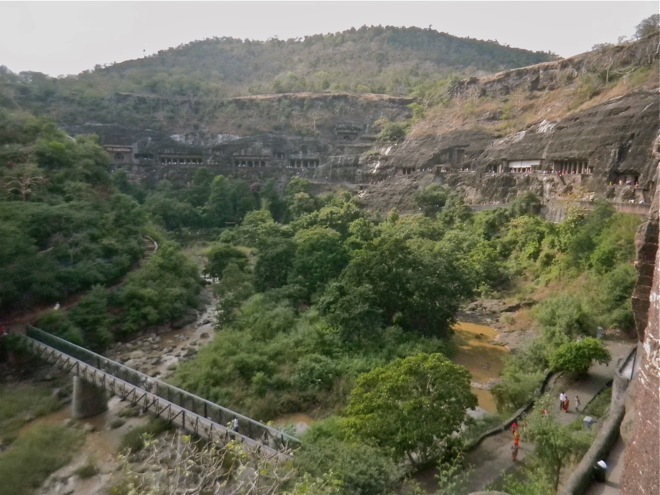 It sees a lot of international tourist traffic due to world heritage sites, Ajanta & Ellora caves. 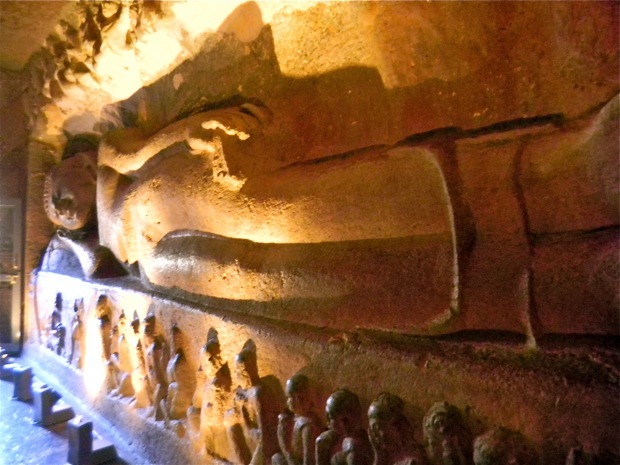 Travellers to Aurangabad will find history dating back to the 2nd century BCE, when the Satavahana rulers established their capital in Pratishtanapura, today known as Paithan. 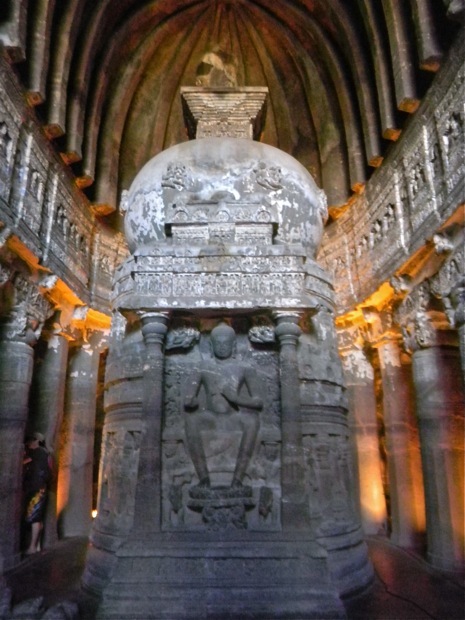 It was around this time that the viharas (monasteries) were carved out of caves in what is now Ajanta, and the stunning cave paintings were made, to be lost and rediscovered in the early 19th century. I departed Aurangabad on Tuesday night and took my first overnight train ride to Hyderabad, which is a 12 hour trip. I purchased the 2/ac ticket and was on the wait list at number 6. The seat was confirmed and I was sleeping in a birth of four people. The 3/ac ticket is a less cost and each birth is of six people. Across the walking row there are bunks also. The sleeper class is considerably cheaper with six in a birth, but no air conditioning. The homestay here in Hyderabad that I am experiencing is the best of all my travels. The family is really wonderful and the time is proving to be a rich cultural experience. One thing can be said about India—many people are positive and good hearted. I haven’t experienced people playing the severe victimization such as in Egypt or Albania. I will be going to the northern eastern coast to visit some of the family friends in Visakhapatnam, then I have a train booked for the area of Bhubaneswar within the state of Orissa—there are several locations to visit within Orissa. Then I am just planning to visit Calcuta for a few days and then flying to Bangalore to continue traveling the south of India. The flight costs under $100.